Having trouble deciding what to do for your summer retreat? Imagine leaving all of your worries and stresses behind by retreating to a secluded island with soft white sandy shores and constant sunshine. Well, now you can by booking a summer island retreat to one of these six places! From the Florida Keys to Georgia's Golden Isles to Michigan's famed Mackinac Island, this year's 'Top Summer Island Retreats' consist of destinations that offer unique well-appointed accommodations, plenty of outdoor recreational activities, and are surrounded by vibrant communities with excellent cultural, dining, nightlife, and entertainment opportunities. Make your next summer retreat one of a lifetime with a escape to one of these island gems! Resort Vacation Properties of St. George Island's website asks an astute question- "Why deal with the crowded masses, high-rise condos, and cramped hotel rooms of popular destinations when the unexpected, unforgettable splendor of St. George Island is nestled conveniently along the Panhandle of Florida?" Well, why would you? Beauty is everywhere you look on St. George Island, from the sandy beaches to the trendy shops in downtown. 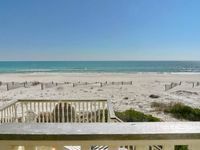 Add in Resort Vacation Properties of St. George Island's rentals, and you have a veritable paradise! If you're naturally inclined, this is your nirvana- there's no giant buildings, vast parking lots, or traffic jams here. Instead, all you'll find is relaxation, fun, and hospitality. Besides the usual luxury amenities, Vacation homes also often include private pools, soothing hot tubs, and outdoor grills, as well as conveniences like boardwalks directly to the beach and elevators for easy access. It's simply amazing, but don't take our word for it- come see for yourself! Don't forget your bathing suit, sunscreen, beach towel, and flip-flops! Each home is stocked with a starter supply of consumable items, including coffee filters, hand soap, paper towels, toilet paper, dishwasher soap, and garbage bags. The King and Prince Beach and Golf Resort is a historical, yet a completely new Georgia island experience. As the only oceanfront resort on the stunning St. Simons Island, this resort is perfect for those relaxing beach vacations, family getaways or romantic escapes! From the moment you leave the mainland, you'll sense its festive roots as a bustling, seaside dance club. Yet amid tennis, beaches, five pools and golf at the newly-renovated King and Prince Golf Club, you'll discover a thoroughly modern Georgia island retreat. The perfect setting for such varied activities as shooting, horseback riding, history tours, distinctive shopping and fine dining, come discover your vacation bliss! Georgia's St. Simons Island is a destination unlike any other! When you stay at the King and Prince Beach and Golf Resort, you're in the perfect place to experience everything that this stunning island has to offer. Incredible Atlantic Ocean views and beaches, along with easy access to the island's many attractions make this resort the best home base for your next summer island retreat. When you're not enjoying the onsite golf course or splashing at the beach, you can visit historic sites such as Fort Frederica and St. Simons Island Lighthouse Museum. Plenty of unique shops, bike trails and much more are just minutes away, too! The King and Prince Club and Golf Resort originally opened as a seaside dance club back in 1935. Six years later, on July 2nd, 1941, the main hotel building opened to the public as the King and Prince Hotel and was immediately praised for its modern features and magnificent ocean views. The hotel even served as a naval coast-watching and training facility during World War II before resuming as an island getaway in 1947. Escape to Palm Island Resort, a place of stunning beauty at a pace that lets you truly take it all in. Spectacular sunsets bring time to a standstill. Once you've arrived to the island by boat or car ferry, fill your days playing tennis at one of 11 courts or swim in one of its five pools and spas; then rent bikes to explore the island or kayaks to discover the beauty of the sea. Travel on crushed-shell roads to your very own private villa. Finish your day off at Rum Bay Restaurant for award-winning ribs or its Leverocks Seafood for a fresh feast. Venture off to explore nearby, vibrant attractions. 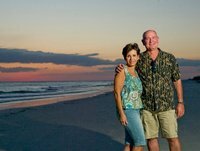 Palm Island is truly your island, on your time, while creating lifelong memories. Palm Island Marina provides traveling boating enthusiasts with all the amenities they would expect from a top-quality full-service marina. The marina's facilities are located across from Palm Island on the mainland and easily accessible to Palm Island Resort by water with the resort providing complimentary island dockage for your own vessel when visiting Palm Island, or the convenience of a water taxi dropping you off at the docks of Rum Bay Restaurant. From Tampa/North: Take I-75 South to Exit 191 toward North Port/Englewood. Merge right onto River Road and continue for 12 miles. Turn left onto Pine Street which will become Placida Road. approximatly 7 miles turn right onto Panama Boulevard and proceed to the Palm Island Transit Car Ferry Landing. Please enter the ferry waiting zone on the right sholuder and wait for boarding instructions from the Mate. Once across the intracoastal waterway, proceed 1 mile to Palm Island Resort for check-in. From Fort Myers/South: Take I-75 North to Exit 170 Kings Highway/Arcadia/Port Charlotte and turn left onto Kings Highway. Take the first right onto Veterans Boulevard which will become SR-776. Remain on SR-776 for approximately 15 miles and turn left onto Gasparilla Road/CR77 and continue for 12 miles. Turn left onto Panama Boulevard and continue to the Palm Island Transit Car Ferry Landing. Please enter the ferry waiting zone on the right shoulder and wait for boarding instructions from the Mate. 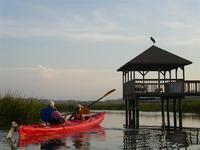 Once across the intracoastal waterway proceed 1 mile to Palm Island Resort for check-in. The Jekyll Island is located off the coast of Georgia and it's only 5,700 acres, this makes it the smallest of Georgia’s Barrier Islands! This beautiful island retreat is home to Westin Jekyll Island, a lavish beachfront hotel that features excellent guest rooms for travelers from around the world. Indulge in rooms or suites featuring amenities like Heavenly® Beds and baths, 42-inch high definition televisions, an iHome® docking station, and beautiful Atlantic Ocean vistas. If you visit Jekyll Island during the summer months, you might be able to see the threatened loggerhead turtles that come ashore to lay their eggs in the warm sands of the coast. The island also offers 20 miles of bike paths, 10 miles of pristine beaches and sandbars making it an ideal destination for outdoor enthusiasts. Whether you decide to explore ancient forests, kayak calm a lake, or relax on a lazy river, Westin Jekyll Island won't disappoint you! Golfers will find plenty to delight their interest with 63 holes of world-class courses on the island! From March to May, the average high temperatures range from 74 to 81°F (23 to 27°C), low temperatures range from 53 to 65°F (11 to 18°C), and precipitation ranges from 0.6 to 1.6 inches (15 to 40mm) each month. Every 6 hours 12.5 minutes, Jekyll experiences a change in tides. The tides pervade deeply inland due to high tides and the gradual slope of Georgia's Coastal Plain, which results in the most expansive marshes of the entire Atlantic Coast. In 1886, Jekyll Island was purchased to become an exclusive winter retreat for America’s most elite families, known as the Jekyll Island Club, including the legendary Rockefellers, Morgans, and Pulitzers. Located on the east coast of Vancouver Island, Tigh-Na-Mara Resort is your own private summer paradise! Enjoy the private shoreline and spectacular natural views on your next Canada vacation. Whether you spend your summer days exploring the waters or just lounging along the beach, you'll feel like you're in your own little world when you stay here! At Tigh-Na-Mara Resort, almost three kilometers of untouched beachfront are your playground. With beautiful forests at your backdoor and sandy beaches at your disposal, you'll understand why Tigh-Na-Mara is such a popular destination. Come back after a long summer day exploring the island and stay in one of the resort’s charming and authentic log cottages. Choose from a one-bedroom, two-bedroom, duplex studio and duplex suite cottages. These cottages feature amenities such as full kitchens, living areas, BBQ grills, and wood burning fireplaces! Don't worry about leaving your furry friends behind at home on your next vacation! Pets are able to stay at their one or two-bedroom Rustic Cottages. Want to take a heartwarming romantic stroll down the beach without the little ones? The Tigh-Na-Mara has an extensive resort babysitting program with seasonal activities for kids. They'll never know you left! Sunset Key Guest Cottages is located on the gorgeous Sunset Key, a secluded 27-acre Florida island. When seeking for luxury Key West accommodations, Sunset Key Guest Cottages is the ideal place to experience one of the best Key West experiences. Comprising seven acres of the island, the cottages are designed for the sophisticated traveler who demands nothing but the best. Nestled amid this tropical paradise are luxurious one-, two-, three- and four-bedroom cottages, each designed in traditional Key West architecture and boast magnificent ocean or garden views. Every detail of the cottages accentuates tranquility and charm, from the pastel-colored wood finishes to the authentic Victorian-style tin roofs. Spacious wrap-around verandas, with Adirondack chairs and tables, are the perfect location to sip a glass of champagne or enjoy your complimentary breakfast basket and newspaper delivered each morning. The Key West island getaway of Sunset Key Guest Cottages was named a Travel & Leisure Magazine "Winner for Family Travel" in 2013 and voted "SPG Member Favorite Resort - Best Small Wonder" in 2012 and 2013. Known as the southern most city of the contiguous United States, Key West is one of the only places in country (along with Miami Beach) to have never received a hard frost in its recorded history. The current record low is 41 degrees, occurring twice (January 12, 1886 and January 13, 1981). At the Ocean Lodge on St. Simon's Island, you'll find a scenic island getaway that's packed with everything you could ever want from the perfect retreat. First, there's unparalleled luxury in the Lodge itself. Egyptian cotton sheets and turkish towels are just the beginning and they'll have you feeling relaxed instantly. Spa treatments will elevate your relaxation to the next level. After that, after you're feeling pampered and rejuvenated, there's a whole island to explore; one brimming with historical and natural treasures. For those history buffs, you can visit the colonial Fort Frederica and Christ's Church, two landmarks from the island's past. For nature lovers, you can explore the scenic beaches and wooded places and expect to catch a glimpse of all sorts of great wildlife! A part of Georgia's Golden Isles, the 16.6 square-mile island is home to 12,743 permanent residents (2010 Census). Arriving on St. Simons Island to Ocean Lodge: Once on the causeway, go past the fifth bridge (just past the marina on the right -- about 4 miles) bear right on the single lane road leading to Kings Way. Head to the second red light (in village -- Kings Way becomes Queen) and proceed straight for 0.4 miles. Keep going past the elementary school on the left and take a right at the corner of 3rd Street and Ocean Blvd. Ocean Lodge is a block up on the right. Jekyll Island pairs a beautiful paradise setting with hallmark Southern hospitality for an unforgettable Georgia getaway. The Jekyll Island Club Hotel is as much a pleasant anomaly as its location. The hotel's iconic turret beckons guests to experience a fairytale Southern island vacation surrounded by lush foliage, stately pillared buildings and miles of pristine Georgia coast beach. Enjoy the unspoiled beauty of Jekyll Island on a carriage ride or dolphin cruise. Other island activities include premier golfing, charter fishing and magical live oak forest walks. The list of things to do is as unique as it is long, so you'll never run out of exciting adventures and wonderful experiences on this island! Georgia beach vacations at the Jekyll Island Club Hotel have the right getaways to suit the needs of everyone. The Resort has 157 rooms and suites in five historic settings. While there is a wide diversity in locations, sizes and appointments of accommodations, each reflects the Hotel’s dedication to the luxury, comfort and services that define the Jekyll Island Club Hotel’s landmark experiences for its guests. Founded in 1886, the Jekyll Island Club Hotel was once the private winter retreat of the some of the nation's wealthiest families with such members as Morgan, Rockefeller, Pulitzer and Vanderbilt. You will not find a more stunning, venerable Michigan hotel than the Grand Hotel on Mackinac Island. Development of this pristine place was halted in the Victorian Era, and the island remains both naturally beautiful and filled with iconic historic landmarks including Fort Mackinac -- and the Grand Hotel itself. The Grand Hotel is completely one-of-a-kind from its 660-foot front porch -- the longest in the world -- to each of its individually-decorated rooms. There are no cars on the island, so horseback riding, walking and bicycling are the primary modes of transportation Yet on site, the hotel features a 220-foot swimming pool, four Har-Tru tennis courts and a full-service spa. And golf: The Jewel is a historic 18-hole course that provides an exquisite challenge while highlighting the breathtaking surroundings. At Mackinac Island's Grand Hotel, no two of the 386 guest rooms are alike. More than three dozen themed Named Rooms and Two-Bedroom Suites --from the Lincoln Suite to the Hollywood Suite --make for interestingly unique accommodations throughout. Each guest room has been tastefully-decorated by famed New York designer Carleton Varney in its own special character and style, complete with modern amenities including individually-controlled AC, mini bar, in-room safe, cable TV, iron and coffee maker. Free Wi-Fi is also available throughout the hotel and resort grounds. Historic Downtown Mackinac Island showcases fur trade-era homes and shops, as well as pristine Victorian cottages. You will find a unique variety of charming shops and restaurants on Mackinac Island. Art galleries and world-famous fudge shops highlight the Island's offerings.